The Trading Assistant Journal - is an independent Internet publication focusing on ebusiness and ecommerce. 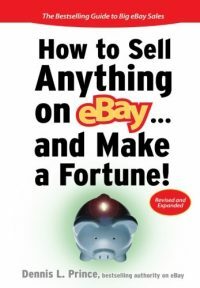 The primary focus of this publication originally was the Trading Assistant and Trading Post business as related to eBay. Over time we have expanded our role to cover all topics relating to the business of selling goods or services on the Internet. This small blog format publication has gained a national audience and is read regularly by both newcomers and experienced ecommerce professionals alike. We are proud of our audience and appreciate all of the great comments and suggestions they provide. This publication has become a passion point for the editor in chief and primary contributor, Scott Pooler. Scott Pooler is the primary contributor to this publication. Scott is a 10 year veteran of Internet sales and a 9 year member of eBay as a Powerseller in several categories. 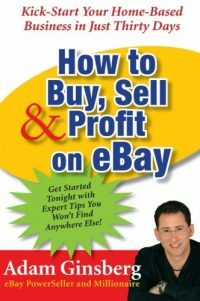 Scott has attended eBay University, is a Certified eBay Education Specialist and a Certified eBay Stores Designer. 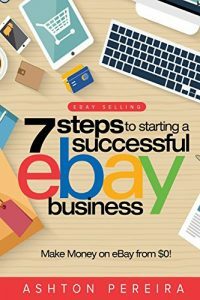 As a veteran of many years of online sales as a Powerseller, eBay Trading Assistant and Former Master Franchise representative of one of the largest eBay drop store chains in America, Scott has an intimate knowledge of the challenges which present themselves to companies and individuals who contemplate joining the e-commerce and online sales revolution. The following is a run down of the business background of the owner and publisher of the Trading Assistant Journal. Scott Pooler owns and operates several Internet based businesses. And while his business focus has moved away from the consignment oriented eBay sales of years past, he still serves loyal customers in that capacity from time to time. All Business Auctions has offered and sold almost every type of merchandise available on eBay. From unique record collections to multi-million dollar medical facilities and expensive top of the line motorcoach RV's. Scott has always enjoyed the real challenge of finding buyers and closing sales on unique and interesting objects and property. iBusinessLogic.com offers multiple Internet commerce products software and service solutions to established and new businesses nationwide. iBusinessLogic.com provides small businesses and large with consulting, web development, eCommerce implementation and more. We focus on the customers needs and provide that customer with more than they expect. In late 2007 we began a program to internally develop our web 2.0 and social media understanding company implementation. We are proud to say that these initiatives have worked very well for our company. We believe in Social Media for our marketing needs and we also believe it is in our clients best interest to consider the benefits of developing these initiates. With this in mind, iBusinessLogic has become a content management system and blog development focused service company. Blogs, Podcasts, social website development and more. We enjoy and understand how to teach our clients the ins and outs of all of these emerging marketing opportunities. Because we use many of them ourselves. DesignLogic - Web site development, Graphics design, Blog Theme customization and marketing plan development both Internet and Traditional. iBusinessLogic-Host - Hosting for our clients websites, all plans include personalized customer service - website management and consulting. MerchantRun-GlobalLink.com - Revolutionary eBay International listing and inventory control software.